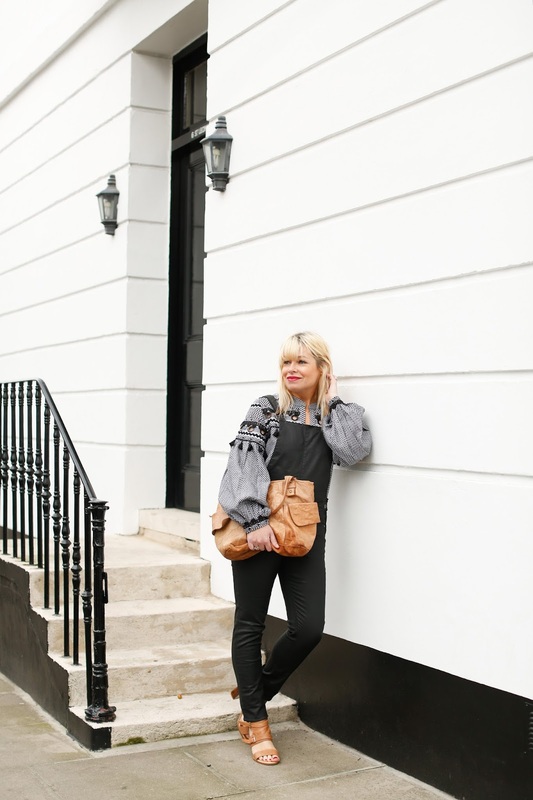 This monochrome outfit is going to be my 'go to' outfit for the Spring and summer and well into the autumn. I fell for Dodo Bar Or dresses and tops last year and this year this Dodo Bar Or top from Beach Cafe is going to be pretty much on me all summer. 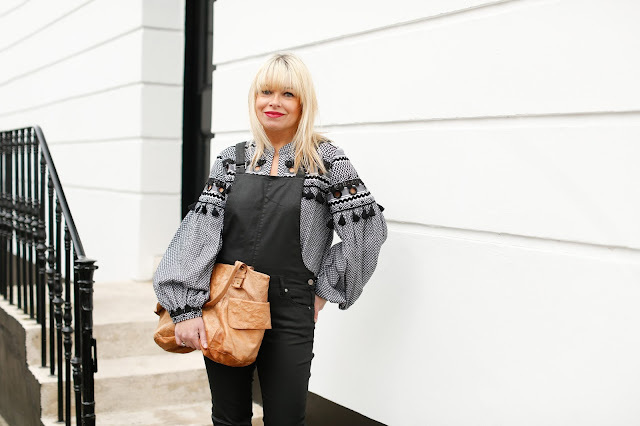 It is a hefty investment blouse but one that I will wear non stop, with jeans, dungarees or black trousers now and in the summer with cut off denim shorts and flat sandals, it is pure luxury with it's gorgeous billowing sleeves and fringing details.. 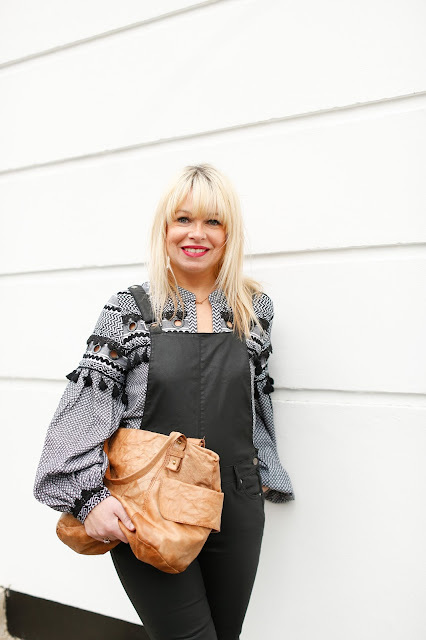 I paired it with my new Donna Ida dungarees - I tried them on at the event I hosted at Donna Ida recently and had to buy them, they are a super flattering, waxed fabric that has just the right amount of stretch in it. I am going to cut them at the bottom so they are ankle length and I know they will be my 'going out, out' dungers this year.. Here are my favourite holiday items from Beach Cafe so many gorgeous things!!.. So I know I may be getting a little ahead of myself talking about summer but I always leave everything until the last minute and the things I had my eye on are usually sold out. 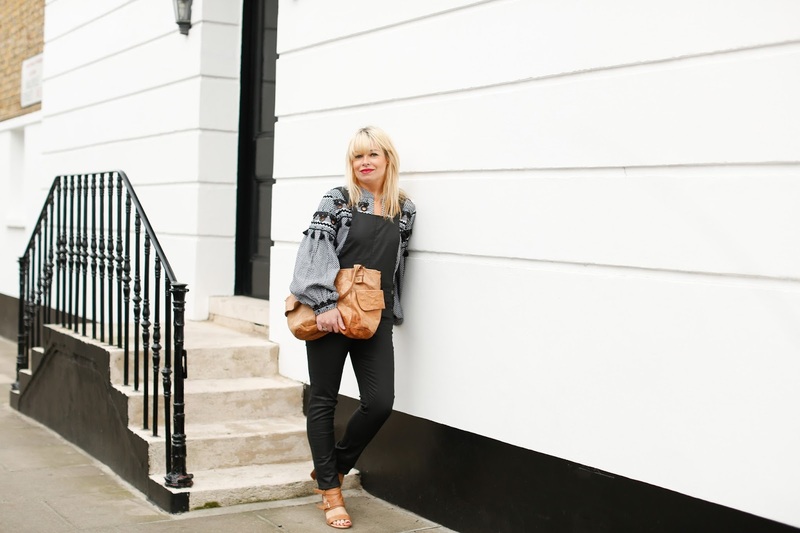 The outfit above is totally my comfort zone, comfortable, practical, hides the lumps and bumps and can worn day or evening...perfect!! You look pretty, I like you dress up. Donna Aida Event - The Pieces I Have my Eye on..